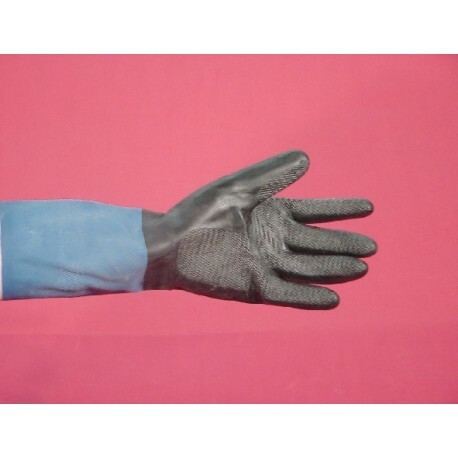 SAF-T-CURETM NEOPRENE RUBBER GLOVES are constructed of unsupported neoprene over natural rubber. 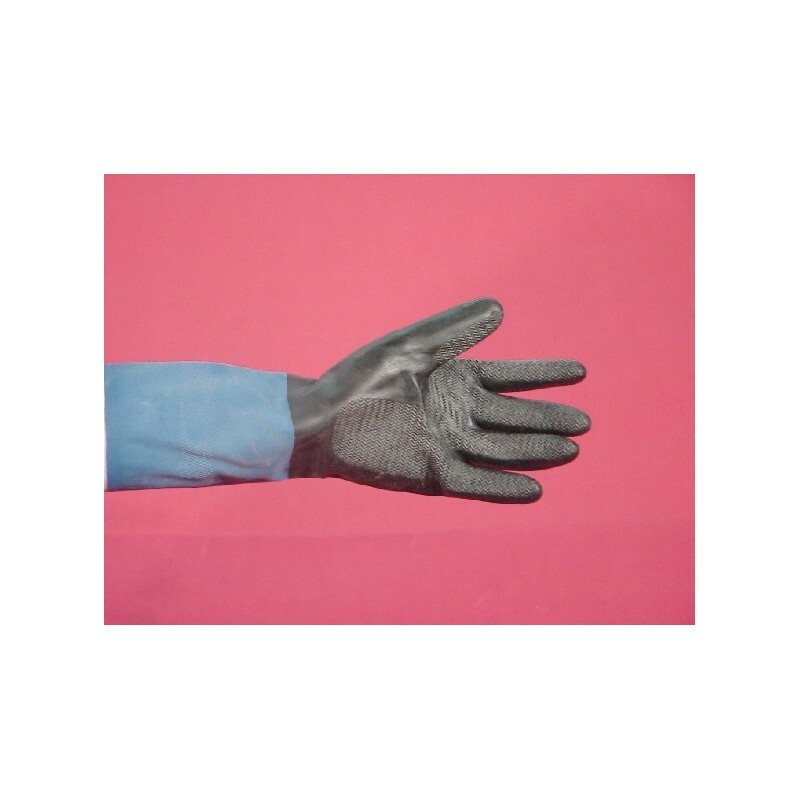 Strong, reusable, and non-slip, these gloves provide several hours of protection from a wide range of UV materials and solvents. Features excellent comfort, high flexibility and excellent sensitivity. Tractor-tread grip encourages fluid run-off. 100% cotton flock lining absorbs perspiration and permits easy removal. Once black overlay turns to blue, discontinue heavy use and be advised that disposal is recommended. Length: 13". 26 mil thickness. 12 pairs/pack, 12 packs/case. HEAVY USE: Recommended for clean-up where solvents are used. Excellent for long periods of repetitive use.